I crawled under the car yesterday to change the oil for the first time (yes i used jack stands) and noticed that ones of the bolts was broken off that attaches the exhaust manifold to the downpipe. there was a slight space between the pipes and the metal was colored back, so exhaust is getting out there. So is it really that big of a deal sense its after the O2 sensor? I know that a new header wont make that much difference as far as HP goes but would yall go ahead and swap it out for a 4-2-1 or 4-1 header? also the stock was a d15 and i have a d16z6, fo they use the same header? You could just throw a new bolt in there and bring it together... are we talking about where the exhaust manifold bolts to the cat? If so I use standard bolts, but exhaust bolts with the springs aren't very expensive. You can buy a d series header, it will bolt up the same way on the head and a d15 and z6 mani will be the same length, so for it to bolt up to your exhaust would be fine. Hard to tell, is that going from the cat to the b pipe? I forget if that is just a pressure fit stud or welded on, but you could probably pound it out and put a new bolt in. If it continus to leak (if you have an exhaust leak you'd hear it...) then go to an auto parts store and buy the gasket, it is a circular ring made that you put on the exhaust manifold. They burn/corrode away over time. slight axle leak? anyone know how to fix? Where in Socal to fix an oil leak? 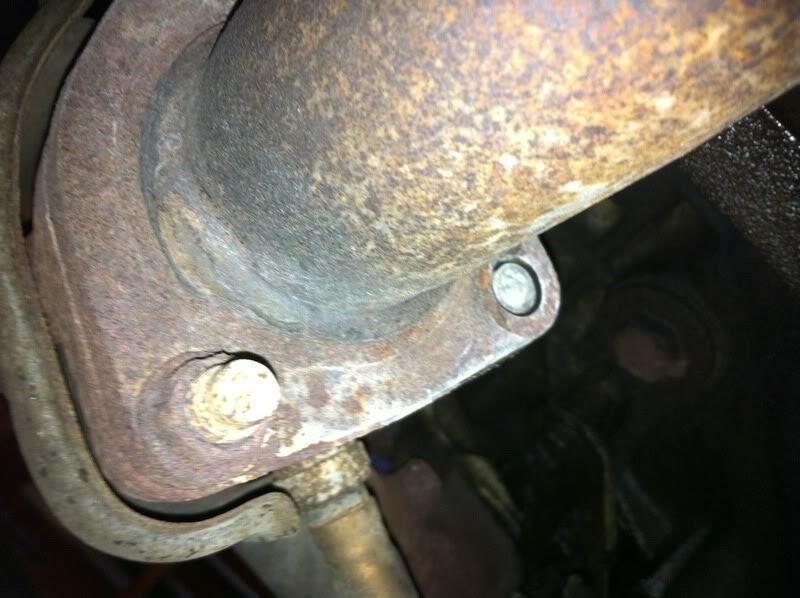 Quick Reply: important to fix exhaust leak?